The FHA does set limits on FHA mortgage loans, and these mortgage limits can vary by county and state. FHA mortgage loan limits are based upon HUD's determination which considers the Fannie Mae and Freddie Mac limits on conventional mortgage loans. The mortgage limits are also figured out according to type of single family residence. (or 2 unit, 3 unit, 4 unit family dwellings) If your research indicates that FHA mortgage loan limits in a nearby county are more lenient, you may wish to consider buying a home in the area with the higher limit. If you live on the edge of 2 counties, find out which one offers the best FHA mortgage limits before making your home purchase. FHA mortgage standards and make it easier for people to do an FHA mortgage refinance, particularly if they have an adjustable rate mortgage that started with a low "teaser" rate and then went up drastically. Therefore, a new program has been introduced, called FHA Secure. This is sort of an FHA streamline program and it can bring financing assistance to many desperate home owners. These new, quick and efficient government refinance loans are designed to help people refinancing ARM or Adjustable Rate loans into stable, fixed rate home loans. 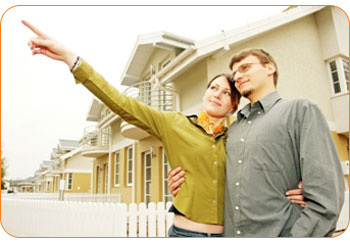 They offer rate and term refinancing only, no cash out and borrowers must have good payment history. Traditional FHA home loans are not available to homeowners who are behind on their payments, or are in foreclosure, but these new loans are different.